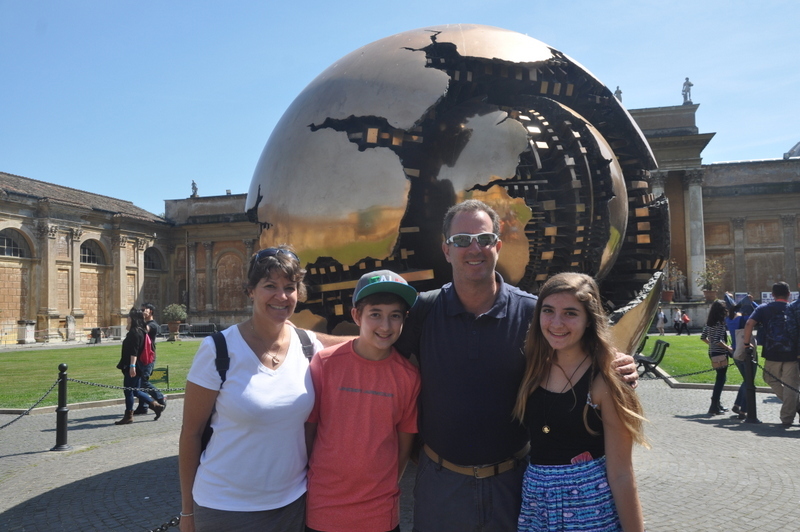 The Vatican, On Drew’s Birthday – WOW! I stayed up late last night so I slept until about 8:20 this morning. That is so much later than I usually get up, but I am done with alarm clocks and just letting my body get the rest that it needs. So, I woke up and decided to walk to the Vatican to make sure I knew where we were going at noon. The apartment is just a few blocks from the Vatican, so when I got there it was pretty easy to find the entrance and headed back to the apartment. On my way back I stopped at the local market and picked up fresh eggs, fresh red peppers, some oranges, bananas and apples. The market is just amazing, with shops that sell every type of fresh food you can imagine. 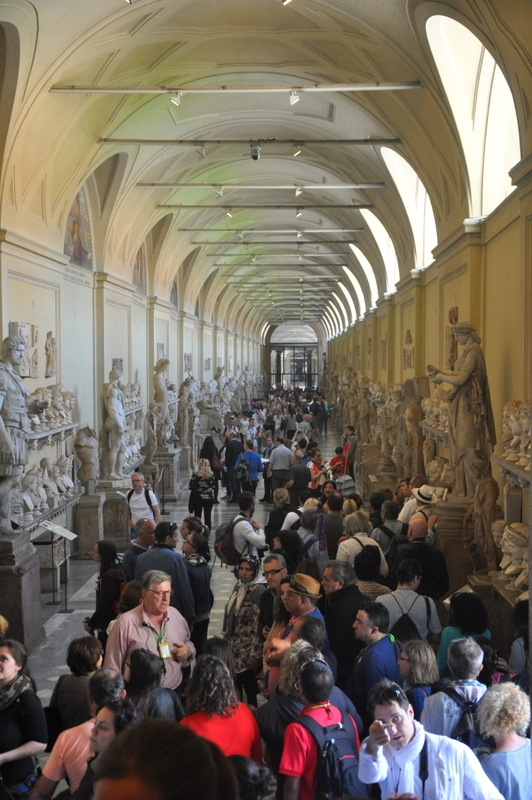 Hall filled with statues, and more statues …. I got back to the apartment and made eggs for Noah and I as Ilise and Drew got ready. I shared my birthday wishes with Drew, by the way, did I say that today is Drew’s 15th birthday! 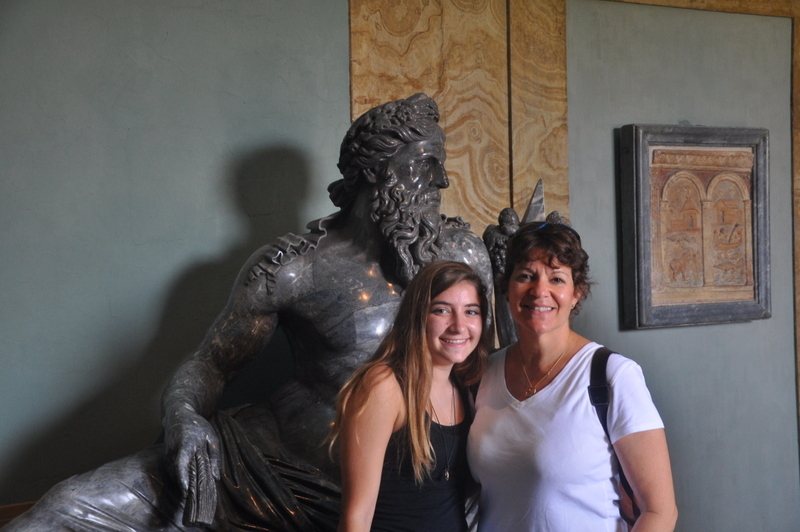 What better way to spend your birthday than a day in Rome at the Vatican. By the time we were ready to get out of the apartment it was time to head to the museum. We had pre-purchased tickets so we didn’t need to stand on the 2 hour queue. We walked right in and entered the Vatican. For the next 3 plus hours we walked, and walked, and walked through hallway after hallway of world class art, sculptures, tapestries and so much more. It was like 10 different museums all under one roof. It was a pretty big roof at that. We asked one of the guards how big Vatican City is and he said 44 square km. That’s just really big. 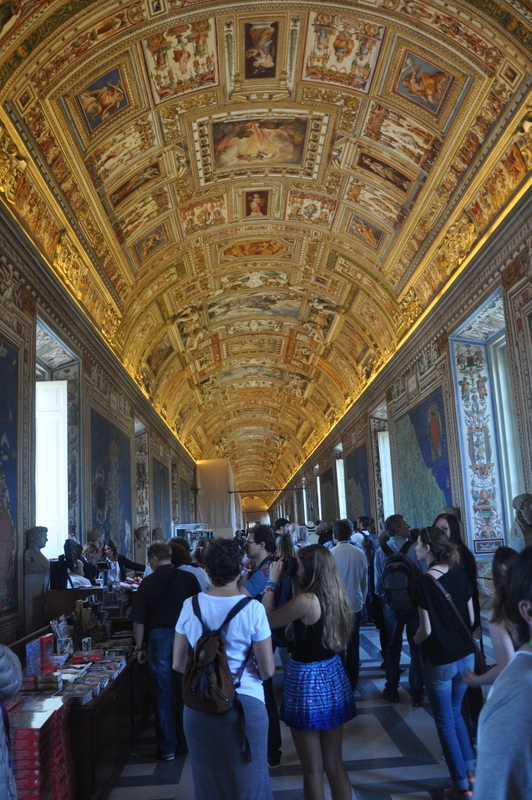 The map room at the Vatican with an amazing ceiling and maps of Italy on every wall. We all headed back to the apartment as I had some work to do and we wanted to rest before heading out for Drew’s birthday dinner. After my calls it was about 6 PM and we headed to the restaurant that was highly recommended by our landlord a block away. We got to the place and knocked on the door, they don’t open until 7:30 PM. We did this three more times and nothing opened until 7 PM. We headed to a different section of the neighborhood and finally found a nice restaurant and had dinner. Drew loved her pasta dish, Noah had…. another pizza, and Ilise and I shared some eggplant parm and fettuccine with a meat sauce. Dinner was really nice as we sang happy b-day to Drew and headed home. All in all it was a pretty special day for the whole family. Tomorrow is the Colosseum and then Saturday is off to Florence. 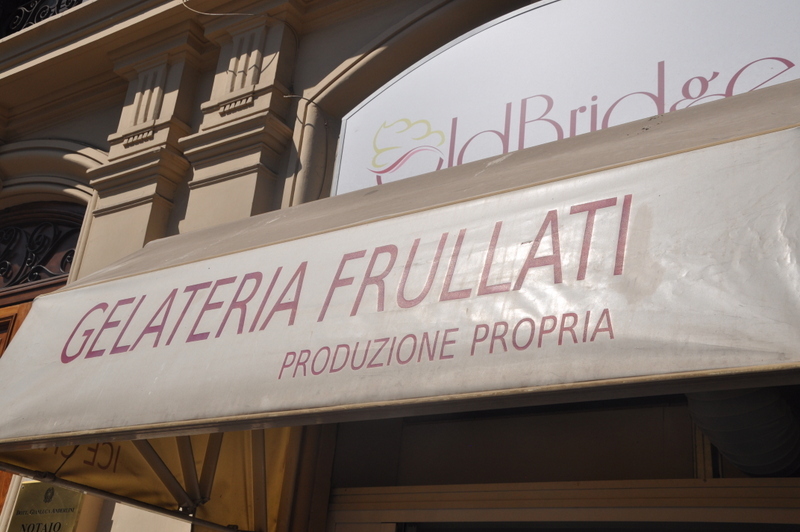 Our new favorite gelato place in Rome!